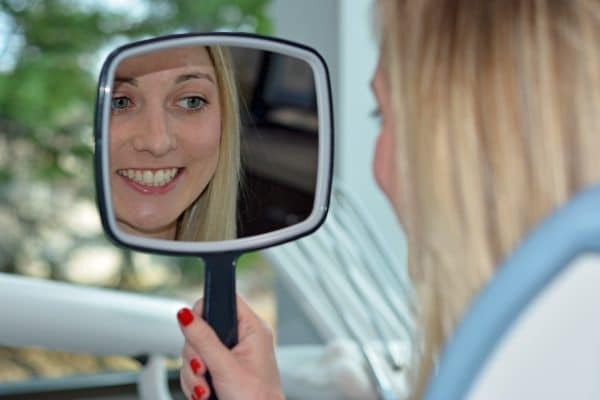 We live and work by a high standard of integrity, always doing our best to deliver a fun, comfortable and high-quality dental experience for you and your family. Dr. Durusky never settles for less than the best when it comes to your oral health care. He and his team are true professionals and skilled at the services they provide. We consistently deliver thorough, high-quality care to ensure lasting results for you and your family. We want to be worthy of your trust, and it shows. We know much of your confidence during your visit comes from our communication with you. 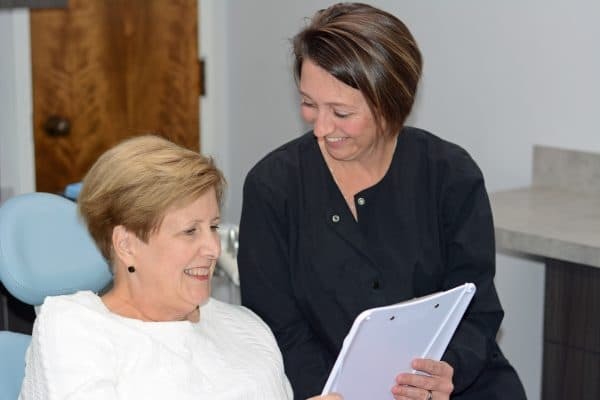 Our knowledgeable team will take the time to explain treatment options in a way that is easy to understand, and we will answer any questions you might have. You will feel empowered and comfortable in your oral health decisions. 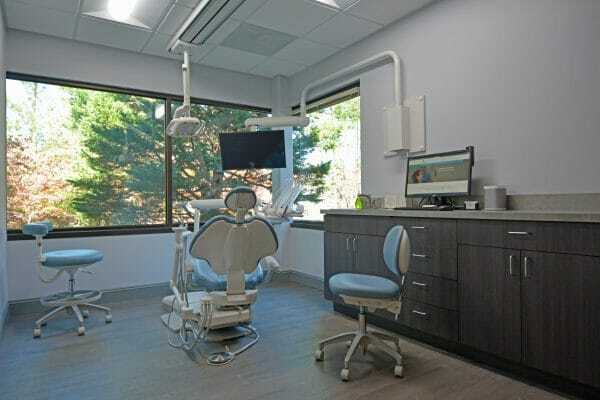 Because you truly matter to us, we invest in the latest dental techniques and technologies. Our advanced technologies include top-of-the-line radiograph equipment, 3D scanners, electric handpieces and intraoral cameras, to name a few. 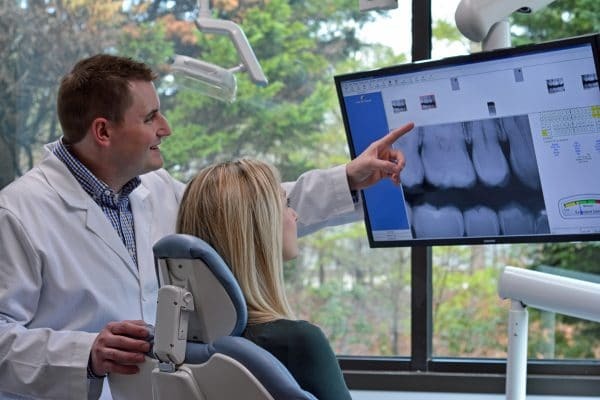 We know that leading-edge dentistry allows us to provide more accurate care and higher-quality results, and we will continue to invest in it with you in mind. We strive to be known as the practice that can be counted on for integrity. With our constant commitment to excellence, we can proudly stand behind the work we do for you and your family. As we go over your treatment options, we will give honest recommendations and always keep your best interests in mind. We will never suggest a treatment we wouldn’t do for ourselves or our family. You can trust that you are in good hands here. Your level of comfort during your visit matters to us. Between numerous sedation options and a gentle chairside manner, we help you feel at ease. Most importantly, we take the time to listen. Meeting your needs, wants and desires is our number one goal. Our caring doctor is kind, gentle and fun! Dr. Durusky is very personable, getting to know patients on an individual level, and has a special gift for helping patients feel at home. His positive attitude and caring nature creates a welcoming environment in our office that we know you’ll love. Beyond that, our friendly team is kind, compassionate and committed to serving you. We look forward to getting to know you through the years. Our Chapel Hill Dentist office offers professional whitening services that can make your teeth brighter in a shorter amount of time. A combination of heat and light treatments can get rid of unsightly stains on your teeth in an efficient manner, though it is worth noting that gray stains caused by taking too much tetracycline (antibiotic) or too much ingesting too much fluoride will most likely not be changed by whitening treatment. Dental whitening services work best on teeth with yellow stains and is successful in around 90% of patients. Temporary tooth sensitivity and/or tissue irritation are common side effects of whitening or bleaching procedures but are usually short lived. Traditional braces are most often associated with those awkward adolescent and teenage years along with pimples, hormonal changes, and the inevitable moodiness. Adults who opt for orthodontic treatment often undergo certain stigma for those visible braces that are most commonly associated with younger people. However, at our Chapel Hill Dentist office lead by Dr. Durusky offers Invisalign. Invisalign is a discreet orthodontic treatment option that is virtually imperceptible. The discreet aesthetics of this treatment option is one of the reasons that over five million people have chosen Invisalign over the more traditional braces. As with all dental treatment options, there are both pros and cons associated with Invisalign. Below, we look at both the advantages and disadvantages of Invisalign for people with a need for orthodontic treatment. Maintaining a bright, white smile is something high on the priority list of most people. Unfortunately, a bit too much coffee and tea often leads to stained teeth while our sugar addiction can also lead to unsightly cavities. Porcelain veneers and dental implants are one way to maintain a bright, healthy smile even if your teeth have undergone a lifetime of abuse. For more information about this procedure, contact Chapel Hill Family and Cosmetic Dentistry. What Should I Expect at Visit to the Dentist? How to Find a Dentist Near Me?